How three sisters dominated the Indian Women’s Chess Championship for an entire decade. The Khadilkar sisters were chess sensations that rocked India in the 1970’s and 80’s. It was right around this time that the first Indian Women’s Chess Championship was held, which was perfect timing for these young female chess prodigies. The inaugural tournament took place in 1974 and it was won by the eldest Khadilkar sister, Vasanti. For the first ten years of the competition, the title would go home with one of the Khadilkar sisters every time. 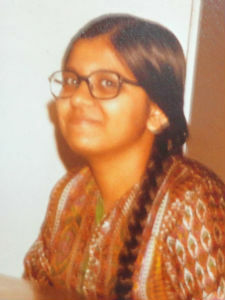 Vasanti Khadilkar was the eldest of the sisters, having been born in April of 1961. She was the victor in the first ever Indian Women’s Chess Championship, and was also joint winner of the British Ladies’ Championship held in Brighton. She is now considered an inactive player, and her current FIDE rating is 2120, though she achieved a peak rating of 2135 in January, 1990. Vasanti may have paved the way for her younger sisters’ successes in Chess, but her own achievements in that regard were quickly eclipsed by theirs. The Khadilkar sisters in the chess Olympiad, Valletta 1980. Jayshree is the middle Khadilkar sister, only a year younger than Vasanti, having been born in April of 1962. 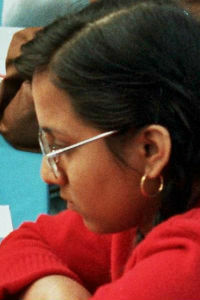 Jayshree won the Indian Women’s Chess Championship 4 times after Vasanti swept the first tournament. Jayshree also has the distinction of being the first Indian woman to be awarded the official FIDE title of International Woman Master. She achieved this title in 1979. Her peak FIDE strength rating was 2120, which was achieved in January of 1987. Vasanti’s peak score is stronger than Jayshree’s, but still Jayshree has won more titles and tournaments. Rohini, the youngest of the set, is the shining star of the Khadilkar chess family. She was also born in April, one year after Jayshree in 1963, and she shares an April 1st birthday with Vasanti. She has won the Indian Women’s Chess Championship a total of 5 times and the Asian Women’s Championship twice. Her first time winning the Indian Women’s Chess Championship title was in 1976, when she was only 13 years old. That same year, she became the first female chess player to participate in the Indian Men’s Chess Championship. Needless to say, this was a controversial subject at the time, and she needed to appeal to the High Court, eventually causing World Chess Federation president Max Euwe to issue an official statement saying that women could not be barred from any national or international chess championship. She was not only the first female player to compete in a men’s tournament in India, but the first to do so anywhere in the world. This was a historic victory for female chess players everywhere. In 1977, Rohini was awarded the Shiv Chhatrapati Award for her outstanding performance in chess competitions. This award is a regional one, and it represents Maharashtra’s highest honor in sports, given only to their best athletes. In 1980, she was chosen as the recipient of the Arjuna Award, which is a prestigious award given out by the government of India to exceptional candidates that have achieved remarkable results in national sports. The award carries a cash prize of ₹500,000. 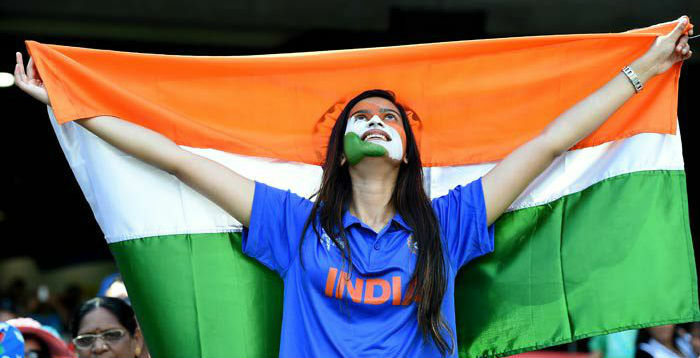 This is India’s highest honor in sports. She was the first woman to be given this award in the field of chess. Her inactive FIDE strength score is higher than any of her sisters’ peak scores at 2215, and her personal peak strength score was 2220, which she achieved in July of 1987. After retiring from her professional chess career in 1993, Rohini went on to continue breaking glass ceilings for women in other industries. In 1998, she became the first female editor of an evening newspaper in Maharashtra when she took a job as the editor of Sandhyakal. Possibly she got her journalistic ambitions from her father, Nilakanth Khaldikar, who was editor of the Marathi daily Navakal. Little is known about the exact training regimine of the Khaldikar sisters. Their parents were not as scientifically minded as the parents of, say, the Polgar sisters, and so detailed records were not kept. The sisters have also rarely given interviews on this subject. It is known that Rohini, the youngest sister, began studying chess at the age of 8, and her sisters would not have been any younger when they first began it. It’s likely that they all started studying chess in earnest around the same time, when Rohini was 8, Jayshree was 9, and Vasanti was 10. This slight staggering of their ages may account for why the younger sisters perform better than the older ones – they each have an extra year of practice! In an interview with Roshini when she was 17 years old, she says that their routine consists of an hour at the chess table in the morning playing against their father, and 3 hours in the evening against competitors from the local town. All 3 sisters also skipped a year of school in order to be schooled at home and better their chess game. The girls were also coached by strong male chess players of the day, including Nasiruddin Ghalib, whom Rohini later beat in competition. Ghalib was a great asset to the girls as they were learning and also an outspoken proponent of women’s rights to be involved in what were previously thought of as “men’s” championships. Ghalib thought that female players were the future of chess in India because they had the imagination and creativity that was so often lacking in male players. Needless to say, the Rohini sisters never let the chess pieces cool for very long. Even though many young chess fans today have never heard their names, the Khadilkar sisters did a lot to change the overall landscape of modern chess. 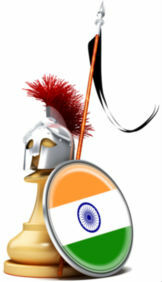 Not only did they begin to put India back on the map as a powerful player in competitive chess, but they also proved that women could be strong chess players and that they deserved to be allowed to compete against male players. Jayshree and Rohini achieved their IWM titles within a year of each other in a time when only 2 Indian male chess players had been able to achieve the same in a span of 20 years. This achievement and many others helped chess gain back some popularity among Indians as well as prove to skeptics that the Khadilkar sisters were talented players who deserved to test their mettle against the best competitors available to them. As it happened, those competitors were competing in the men’s championship tournament at the time. Rohini Khadilkar, and her father who fought on her behalf, forever changed the world of competitive chess for female players. While things still may not be completely equitable, she secured a mandate from the FIDE president that said that no female chess player could be disqualified from a national or international tournament due to her gender ever again! That is a major achievement, and Rohini Khadilkar should be included in any discussion of the most important moments in chess history, period. Too often she is left out, just like spiteful judges tried to leave her out of the Indian Men’s Chess Championship competition in 1977! But she persevered then, and history will remember her now.